Here’s a portable wine rack I put together for a camping trip. 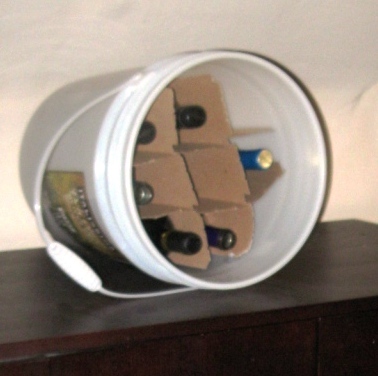 The cardboard frame is from an actual wine box, with three of the slots cut off to fit snugly in the bucket. Buckets are superior to boxes for camping trips because they are waterproof and come with a built-in handle! You could even float one behind you on a river journey like we did in the portable cooler article. 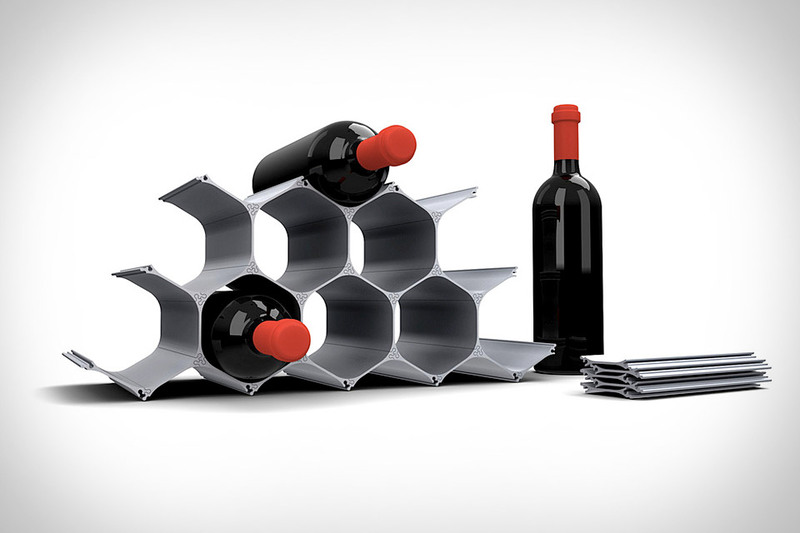 Vaguely related, this is the WineHive, with the same strength and stackability of buckets. You could class it up and use these instead of cardboard in my design.